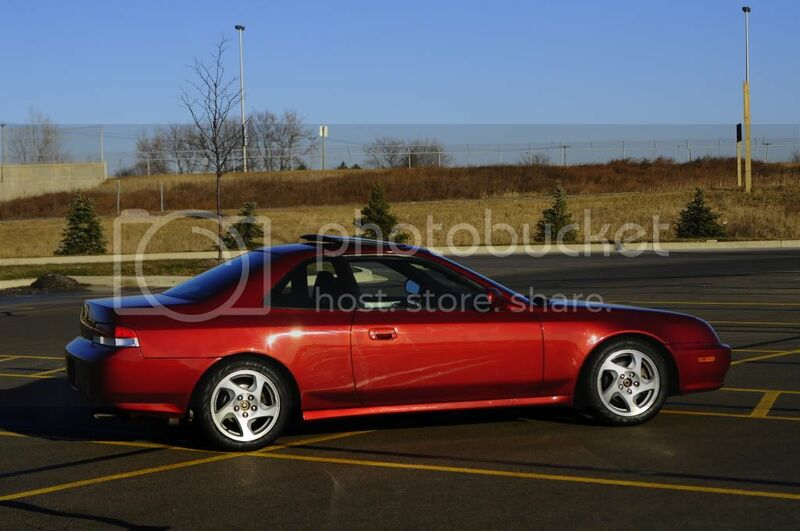 Hey everyone I have a 94 integra ls with quarter panel rust, and I am wondering if anyone knows a website i can buy new quarter panels from and how much it would cost at a shop to get it all fixed. Sheet metal and some patients has always worked for me. Just posted a few pics of the process. 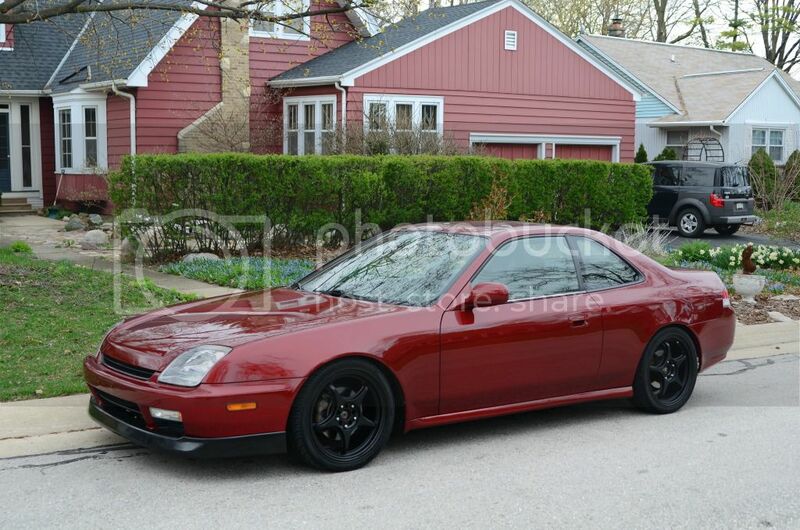 In total from body work to paint I spend a total of $450. 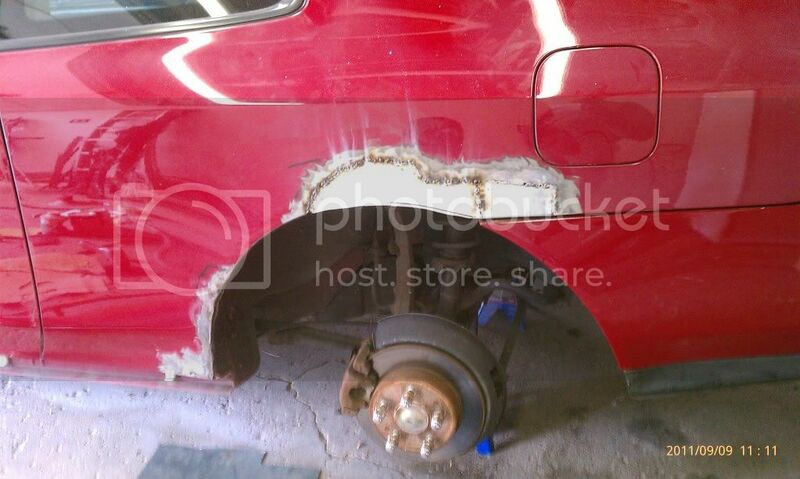 I also have been looking for new fenders to weld in, it appears they only make them for EG's. I don't know how to weld, so I may end up cutting my rust out and having a shop weld in some new metal. My only problem is where my bumper attaches has rusted out, so making a new spot for my bumper clip is gonna be a pain. If I don't line it up 100%, then my bumper will always look weird. 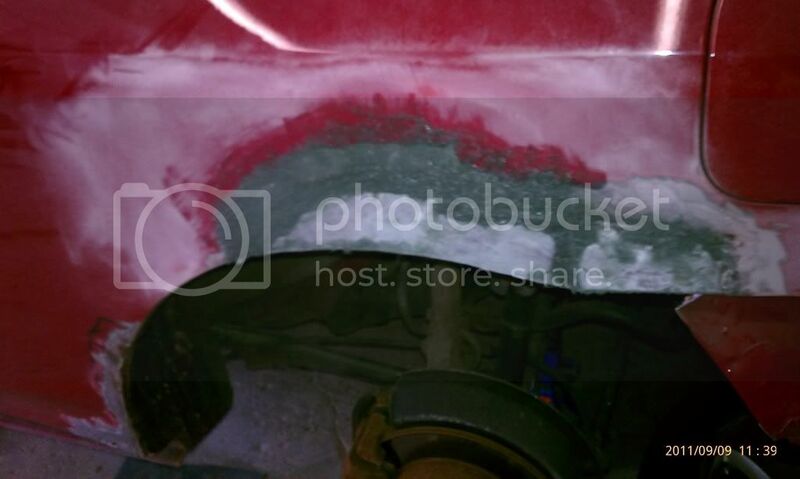 My friend and I were planning on using the EG patch panels for the quarters and the rocker panels to repair my QP rust. 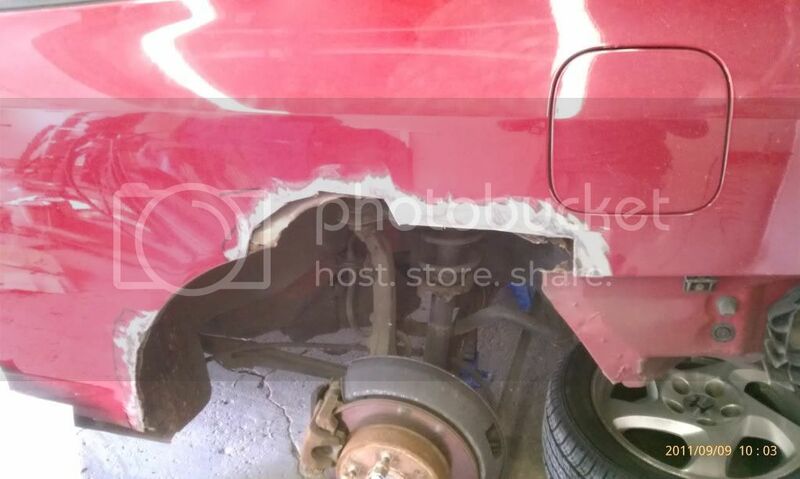 The body lines are similar and minor modification is needed to get them to work. 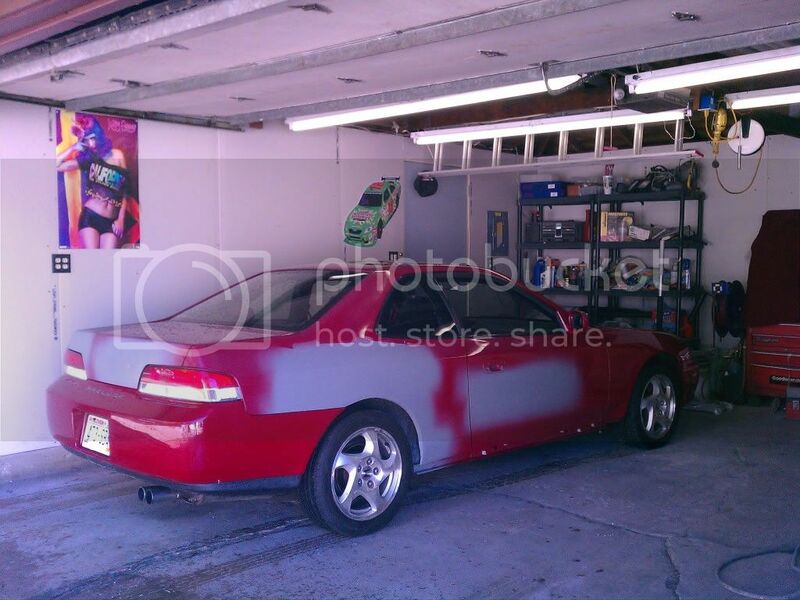 There is a thread on another Integra forum of someone who did the repair with EG panels. It looks pretty damn good. Especially since the price of EG patch panels is drastically cheaper than replacement QPs. They're brand new panels and are not cut out from another vehicle. The panels can be found on Rust Repair Panels if you feel ambitious enough to try it first and report back. Use a drimmel and sand paper to cut and remove as much of the rust as you can, sand the surrounding area to make sure any surface rust under the paint is exposed, get some rustoleum rust reformer and coat the whole area. Next what i did was a little unconventional. I took a few drywall patch kits and used the metal mesh backing part of them, depending on the size of your hole you may need a few peices, measure the general shape of the area you need to patch but go a little bigger because you need to put the peice inside the hole. next cut fiberglass matt or fiberglass cloth to lay over top the mesh backing peices, using a 2 part fiberglass resin mix up enough to cover the peice. have a peice of nylon string tied to the center of the piece, do this before mixing your fiberglass resin because the resin cures fast, apply the resin to the peice, make sure the peice is big enough to fit inside the hole but not so big that you cant get it into the hole lol. hold the string off the peice so that it does not stick to it. after the peice has hardened and is ready to go inside the hole do so using the string to pull it flush against the inside of the hole. now while holding it in place use the fiberglass resin again to fill the hole, and dont worry about using too much because you can always sand it down. after the hole is patched sand it down, i prefer to do it by hand but if you like using a sander then by all means. after it looks like a solid flush peice start the painting process.